Welcome to our Education section. Click here for Acknowledgements. In order to be able to make best use of the education material provided here, you will need to be able to open pdf files. If you do not have that capability at present, you can download Adobe Reader here for free. Below you can navigate through all the lesson plans or choose to only view 5th & 6th Class Lesson Plans or Post-Primary Lesson Plans. 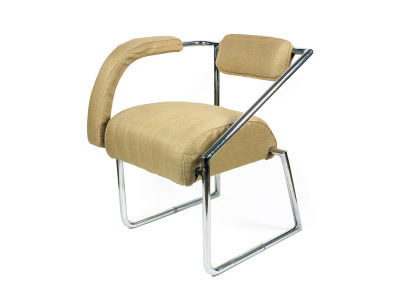 Hover over the object that interests you and simply click through to its page. There you will find a selection of resources that includes some or all of the following: multi-media content, downloadable worksheets, lessons plans and quizzes. 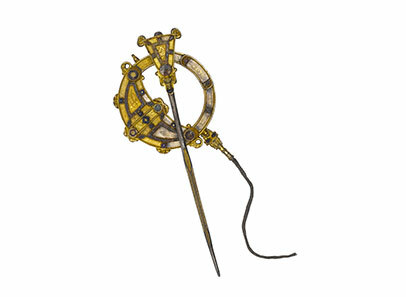 Discover more about this eighth century symbol of the Irish cultural revival that has approximately 76 patterns on its surface. 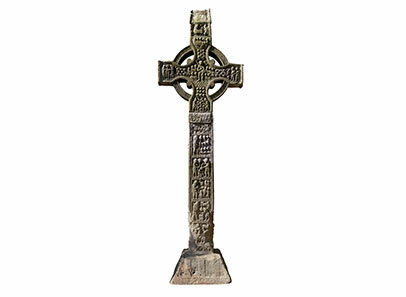 Discover more about this Christian monument that is the highest of all the high crosses in the country. 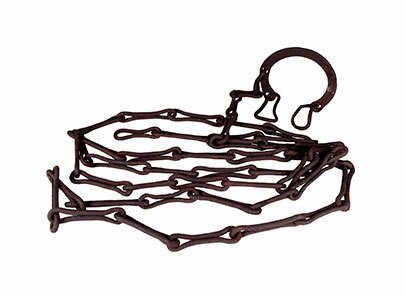 Discover more about this old, iron chain that was found near Ardakillen crannóg, Co. Roscommon, Ireland. 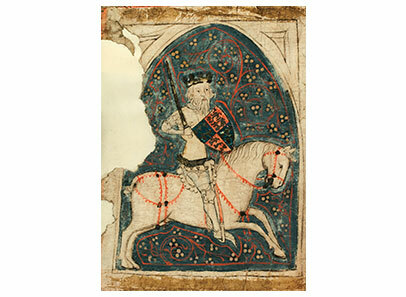 Discover more about Waterford’s authorities creating a four-metre long charter roll relating to the city going back to 1215. 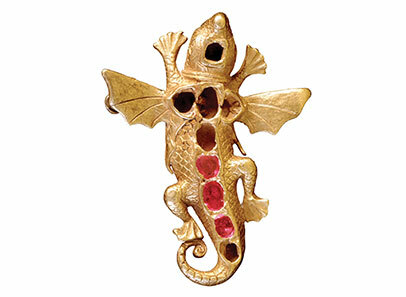 Discover more about this incongruously elegant jewelled pendant that was recovered from the Spanish galleass La Girona. 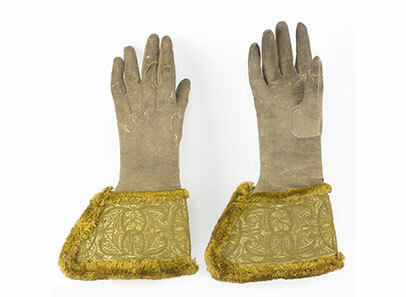 Discover more about these doeskin gloves that King William III presented to John Dillon, in whose home he had stayed the previous night. 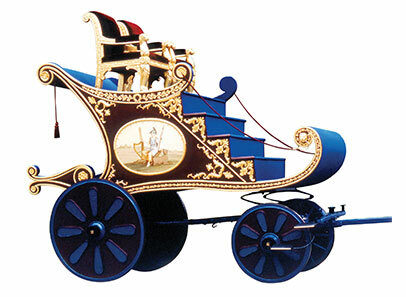 Discover more about this extravagantly ‘chariot’ that was drawn through the streets of Dublin by six splendid grey horses and a crowd of around 200,000 citizens. 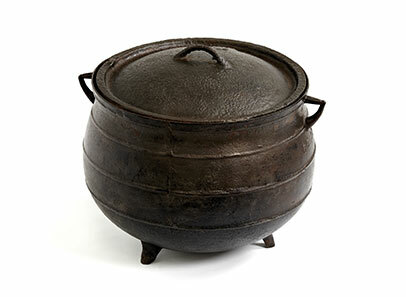 Discover more about these nineteenth century vessels that were almost always mass manufactured in a style that harked back to mediaeval times. 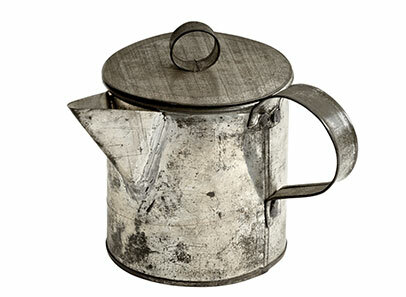 Discover more about this tin teapot that had a pouring lip soldered onto one side and the internal wall of the cup punctured with holes to make a strainer. 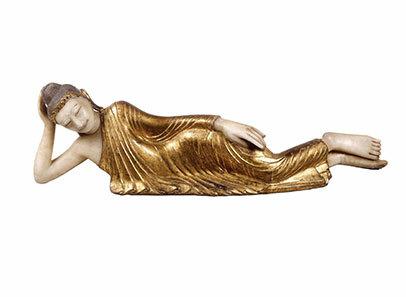 Discover more about the seraphically beautiful Buddha, now in the National Museum in Dublin, Ireland. The statue is made of marble with the drapery painted gold. 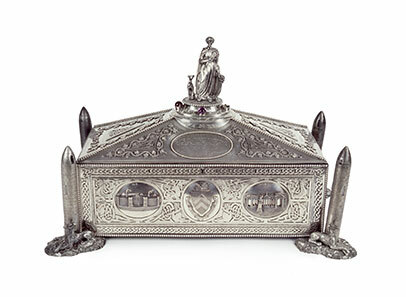 Discover more about this ornate silver casket, with by now standard imagery of round towers, wolfhounds and ‘Celtic’ filigrees, and a representation of the former Irish parliament. 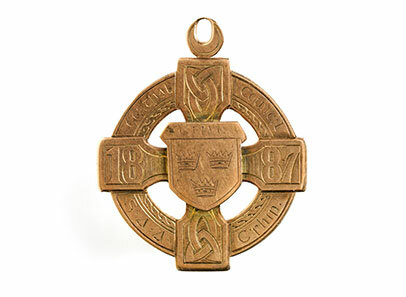 Discover more about this GAA Medal. The gold medal was presented to a Limerick player, P.J. 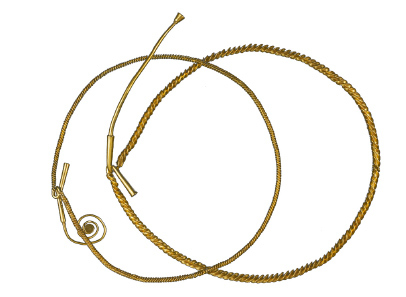 Corbett. 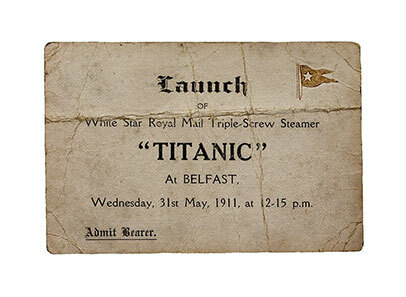 Discover more about the Titanic Launch Ticket. This admission ticket belonged to David Moneypenny, a ship’s painter who worked on the first-class quarters. 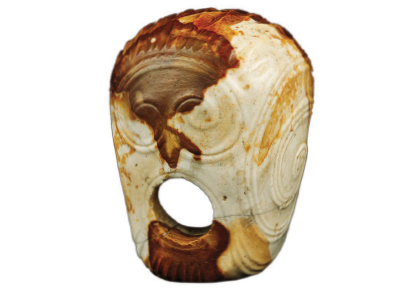 Discover more about the Lamp from River Clyde. 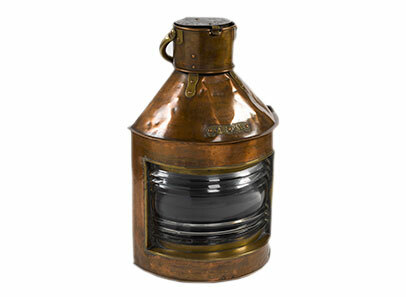 This lamp is from a converted collier, the River Clyde. On 25 April 1915 it lit the way to hell for 2000 soldiers, mostly members of the Munster and Dublin Fusiliers. 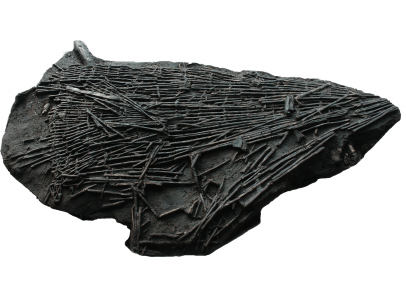 Discover more about James Connolly’s shirt. 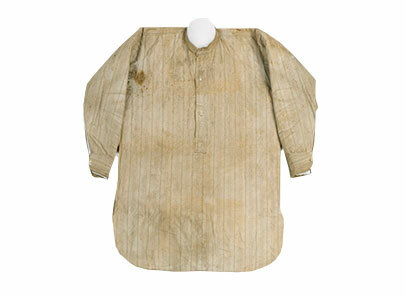 This undershirt was worn by James Connolly in the General Post Office in Dublin during Easter Week 1916.